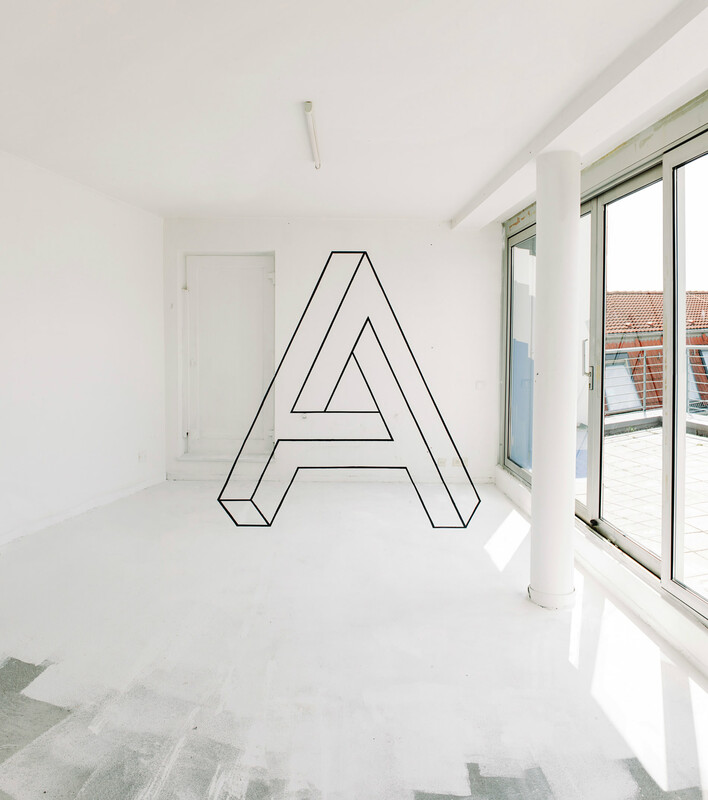 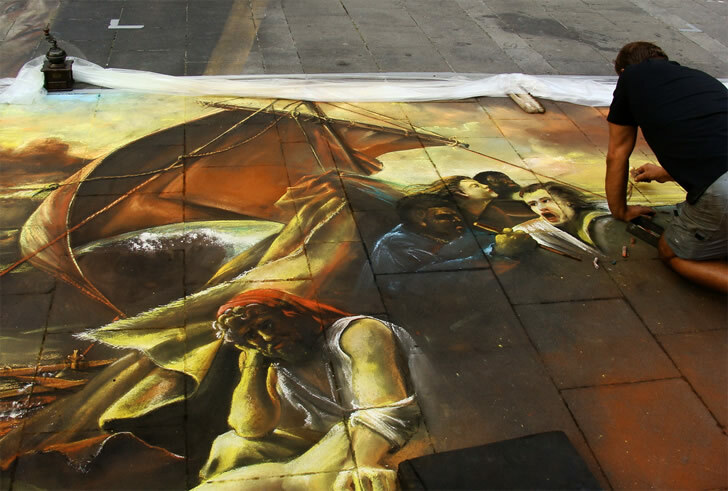 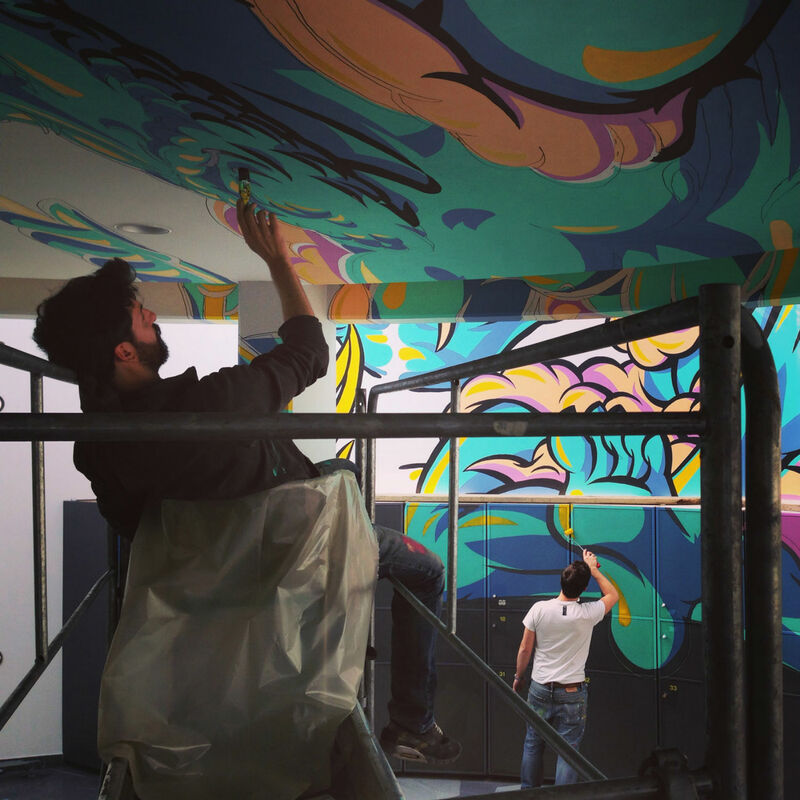 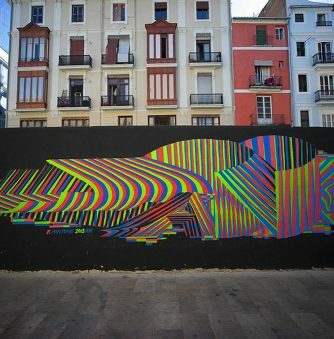 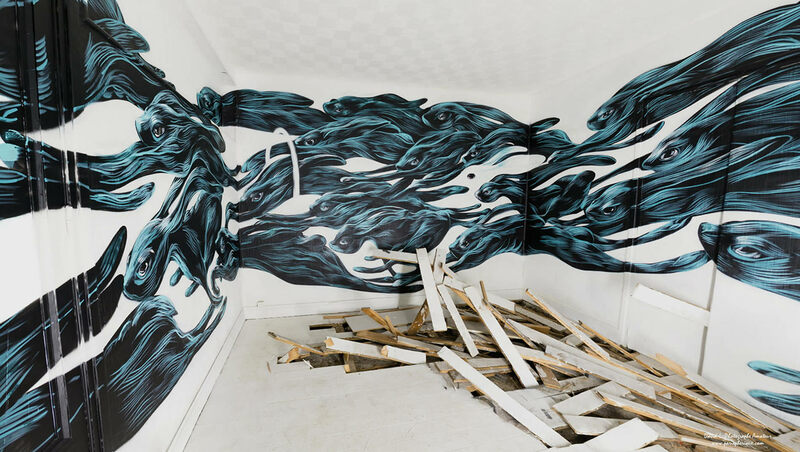 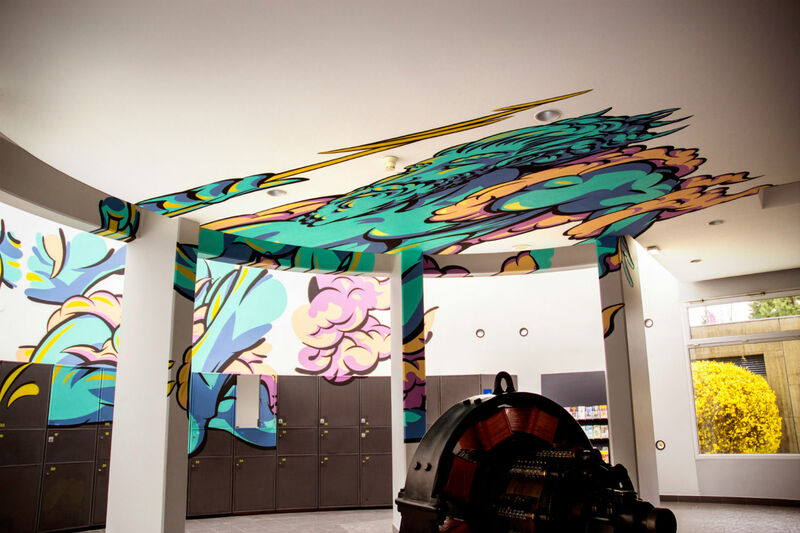 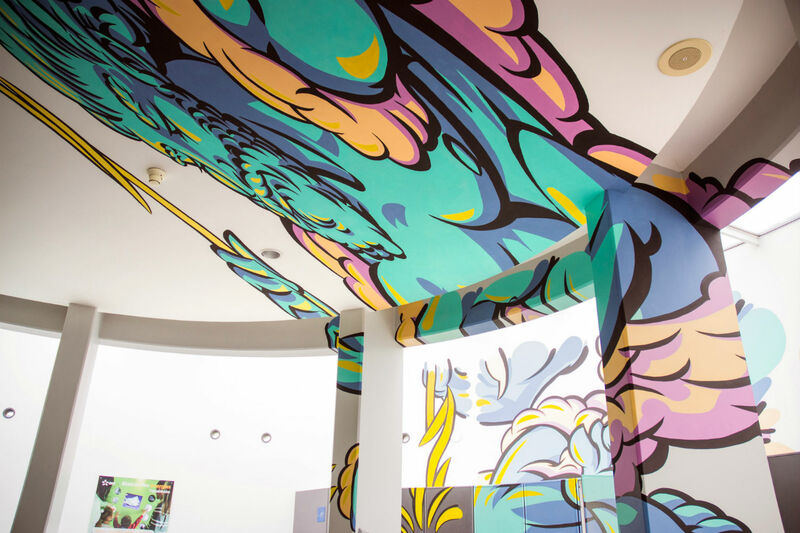 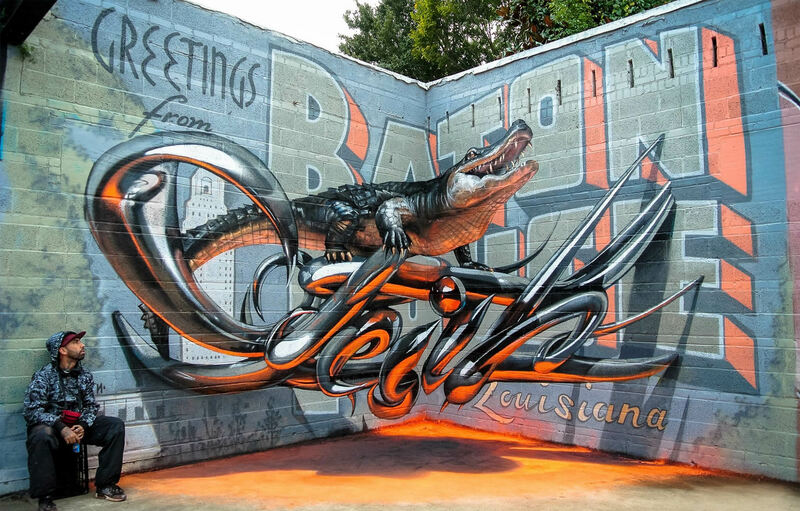 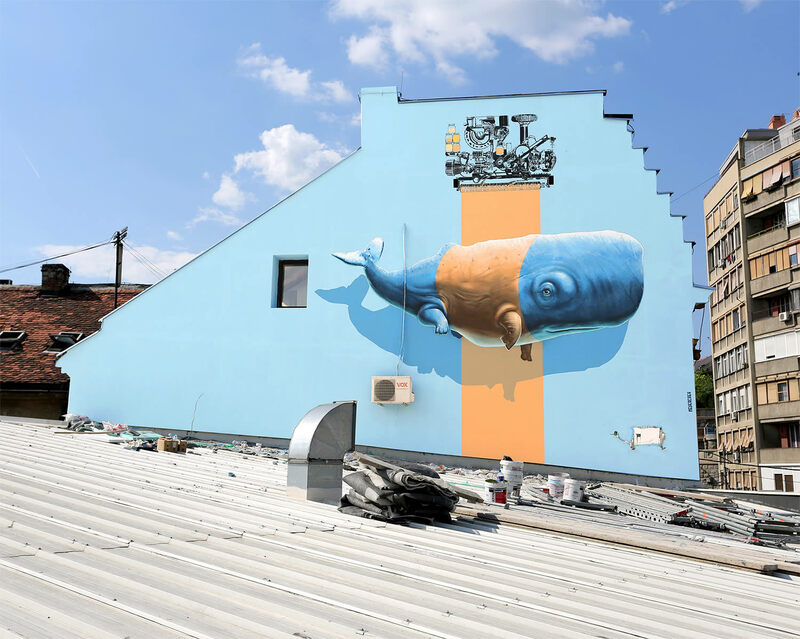 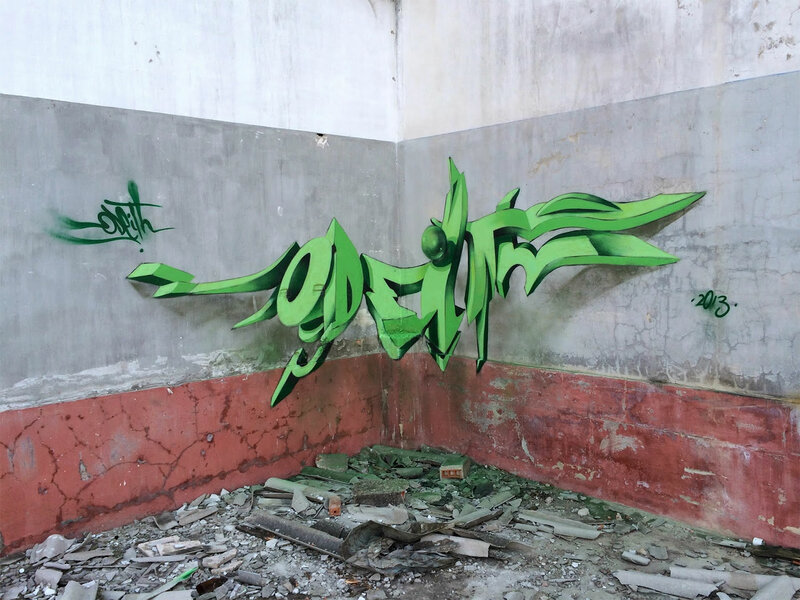 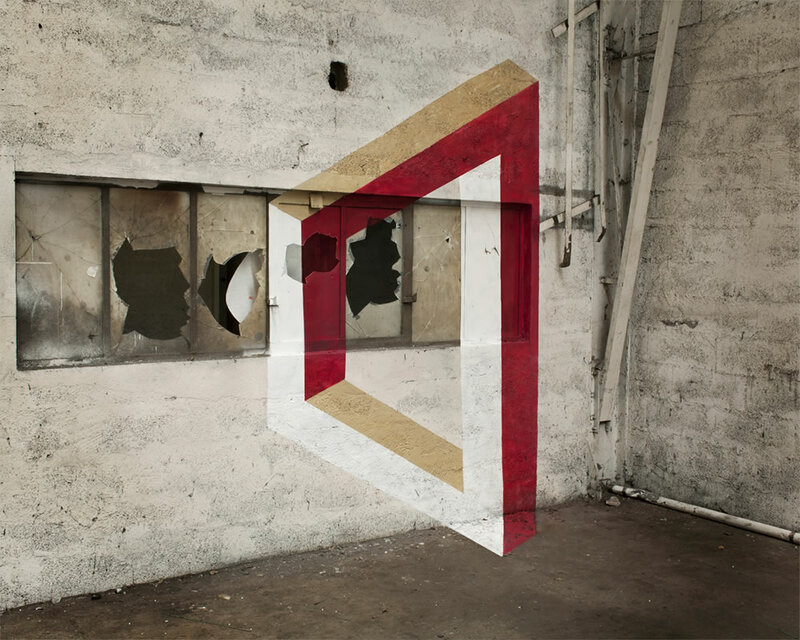 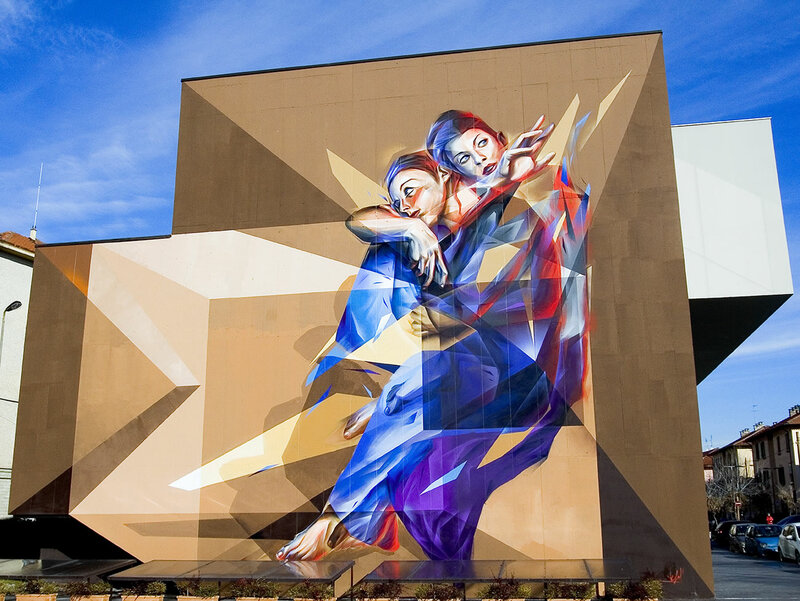 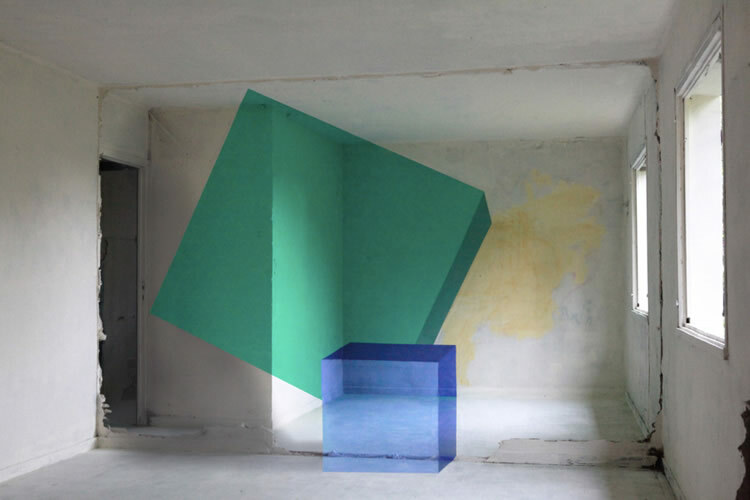 Italian collective Truly Design are at it again, creating mind-bending anamorphic graffiti across Europe. 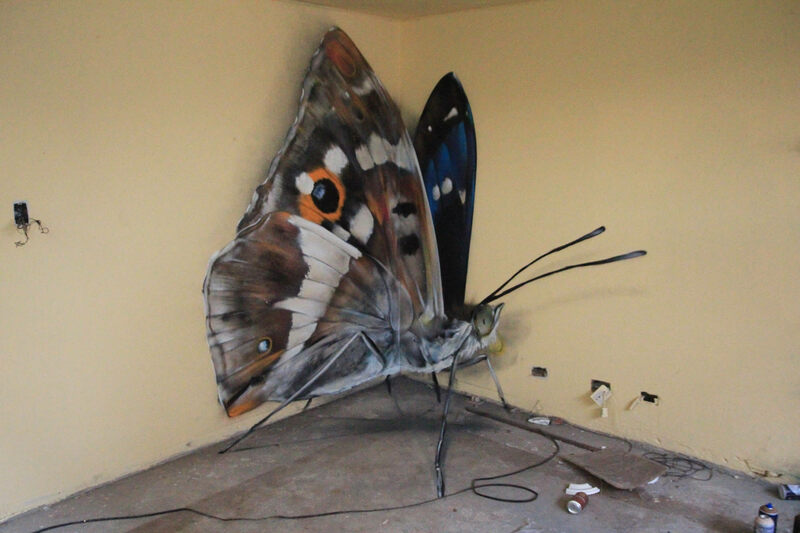 This time they’re in Mulhouse, France, collaborating with the Musée EDF Electropolis. 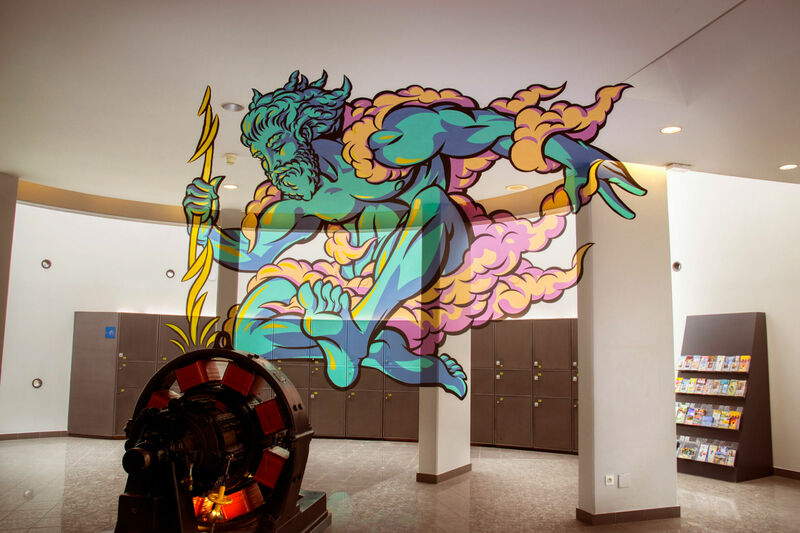 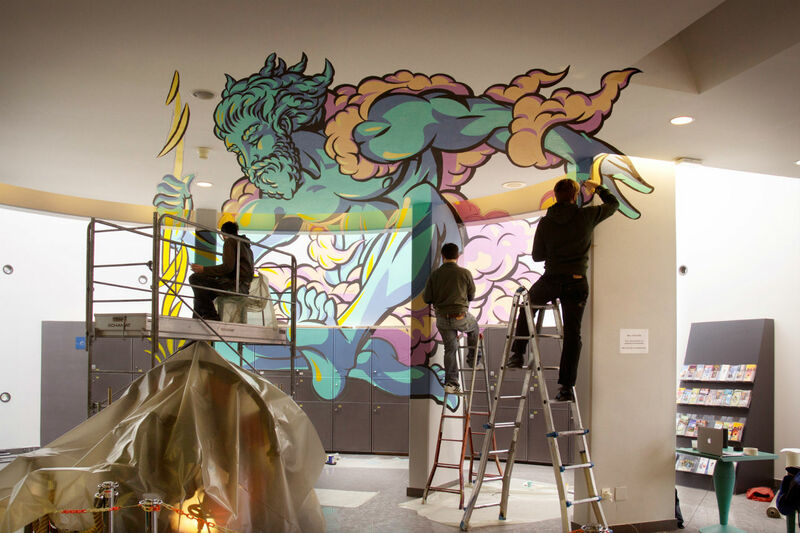 When they saw the space at the former electric plant, they were thunderstruck at the possibilities available and it was quite clear who their subject was going to be: the ancient God of thunder himself, Zeus King of the Gods, sitting atop Mount Olympus.